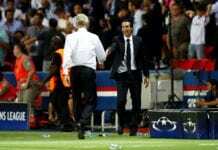 Arsenal boss Unai Emery reckons it will be a difficult proposition to impose themselves on Manchester City when they trade tackles on Sunday. Teams like Leicester City, Crystal Palace and Newcastle have all adopted a defensive style and counter-attacking tactics to defeat Man City this season. But Emery concedes. Arsenal may struggle to take a proactive approach into the game at the Etihad. “Usually Manchester City, in every match they impose their style,” he told Sky Sports. “You want to impose your style, you want to play with your personality, but sometimes you need adaptation – more or less, it depends on the opposition. “It is tough to break their style and impose yours. When a lot of teams play with a profound block, it’s because they need to play like that and can also have chances to win. “Usually you can play ten matches against Manchester City – maybe Newcastle, maybe Crystal Palace, perhaps us as well – you can lose ten times playing the same, or possibly lose seven, draw two and win one. 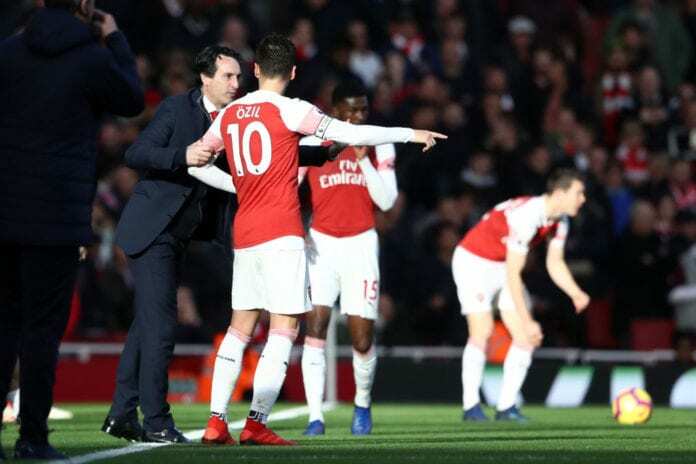 Arsenal was thumped 5-1 at Liverpool in December as they tried to impose their style of play, but the former PSG boss claims he’s unfazed by the loss and will maintain his form. “They are two different teams,” he said of City and Arsenal. “Different manner of playing, but with a huge organisation, huge managers and also big players. “For example, the progress from Liverpool is significant progress, and now they are the favourites because they have the lead. “Maybe Manchester City is a different example because they paid a lot and maybe we can’t do that now like that, but our way is we can also do one way similar to Liverpool, similar to Tottenham.